Recent Update: TNPSC Assistant Engineer (Civil) In Highways Department Exam Answer Key Sheet Will Shortly Be Published By Commission. 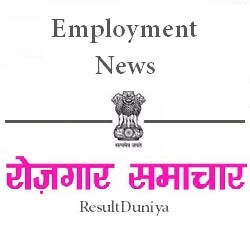 The Tamil Nadu Public Service Commission conducts examinations for recruitment to various posts in Tamil Nadu state.Recently TNPSC released a notification for direct recruitment to 203 posts of Assistant Engineer (Civil) In Highways Department.The TNPSC Assistant Engineer Civil Exam 2015 will held on Sunday,6th September 2015.The examination will conduct in two shifts.Paper-I (Civil Engineering) Will Conduct in first shift from 10:00 A.M To 1:00 P.M and Paper-II (General Studies) will be conducted in second shift from 2:30 P.M To 4:30 P.M.
After having exams, candidates can download TNPSC Assistant Engineer Civil 2015 Answer Key Paper-1 Paper-2 from below given links. TNPSC Assistant Engineer Highway Answer Keys will shortly be published by TNPSC. The official answer keys for Paper-I And Paper-II are yet to be uploaded by commission. Candidates can download TNPSC Assistant Engineer Civil Engineering Answer Key and TNPSC Assistant Engineer General Studies Answer Keys from the links provided below. Candidates are requested to KEEP PATIENCE.The key answer sheet will shortly be published by Tamil Nadu Public Service Commission. Please follow below given steps for downloading TNPSC Assistant Engineer Answer Key. * For downloading TNPSC Highway Engineer Exam Answer Key first of all visit the below given link. * Now goto Answer Keys-2015 section and you will see the Advertisement No.Assistant Engineer (Civil) in Highways Department in Tamil Nadu Highways Engineering Service. * Now click on Tentative Answer Key Download. * Match your answers with appropriate questions. All the candidates are requested to bookmark our website.If you have any problem regarding downloading or checking TNPSC Assistant Engineer Civil 2015 Answer Key then please contact our website admin or you can simply leave a comment below.